Surprise! To three of my readers out there, I lied. Because you asked for it, I have changed my mind and decided to do my first NFL Draft edition of FMQB! I figured that the 2 extra weeks that ESPN gets to talk about the Draft isn’t enough media attention for everybody, so I’ll do a mini post to add my two cents. As a disclaimer, the reason I initially said “no” was because I’m not much of a College Football guy. But with the ability to witness a potential Top 10 draft class of all time, I felt compelled to get involved. 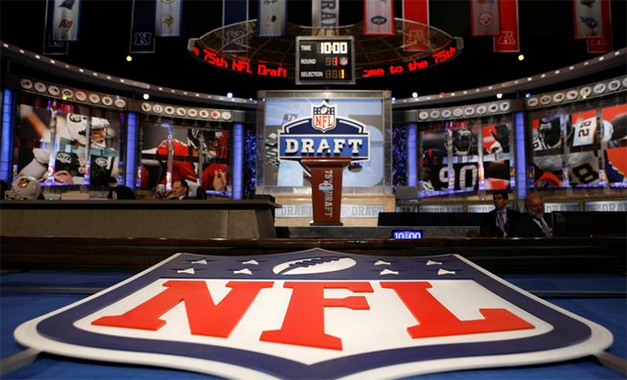 On a side note, despite my lack of college football knowledge, I have always loved watching the draft. Although it can be one of the more boring pieces of television, it seems to give teams and fan bases hope for the following year. Plus, it always feels like football has been gone so long, that it reminds people that fun is right around the corner! This year has taken FOREVER to get to this point. Holding it 2 weeks later doesn’t help, and neither does the quality of players. Second side note, I joke about ESPN’s coverage, but I became enthralled in Jon Gruden’s QB Camp series which followed 8 QB’s. If anybody hasn’t seen this and can catch a re-run, I highly recommend it. Especially Johnny Manziel’s episode, which changed my opinion on him 180 degrees (for the better). Gruden does a good job of pointing out flaws, asking the tough questions, and not taking the easy way out. Plus, you think you know football until you watch these guys start to break down plays. Let’s be honest here, it’s such a crapshoot that even the experts get surprised with picks. So here is my Top 10 Draft Picks, and then where some other notable players could/should go. I tried to be a little gutsy with a few things, including a major trade to start it off! 1. Atlanta Falcons (trade with Houston Texans) — Jadeveon Clowney, DE, South Carolina: With a draft class like this, I see teams willing to move up. I also don’t think Houston is in love with any of the QB’s to warrant a #1 overall pick. The Falcons had a fluke year last year, and don’t need WR, QB, RB, or really anything on offense. An explosive DE could be the missing piece to their puzzle. The Falcons also showed that they are willing to make this move by grabbing Julio Jones a few years ago.